Noisy Nora: Look who I found! Again! Look who I found! Again! Happy birthday dear Norrrrraaaaa, hap py birth day to yooooouuuuu!!!! 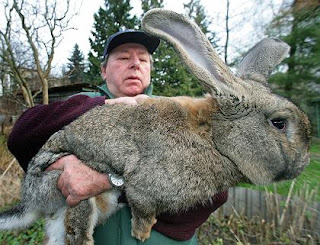 Nora, what the heck, is that a real rabbit that big??!! AHH!